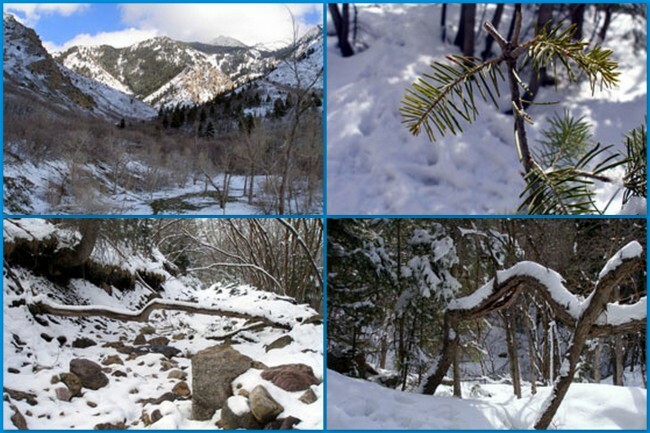 For years my friend Jeff has been sending me photos from an incredible place called Neffs Canyon, just above Salt Lake City, Utah. Though I’d marveled at the images I’d never had a chance to explore the area to any degree, that is until a rare springtime visit. Neffs is directly above an area known as Olympus Cove, a developed area on Mt. Olympus (which can be seen from miles away on other trails). This bowl-shaped canyon gives access to: The Meadow, Thaynes Canyon Pass and Mill B Pass. The trail follows an old road bed up the grade, making for an easily-navigable route. 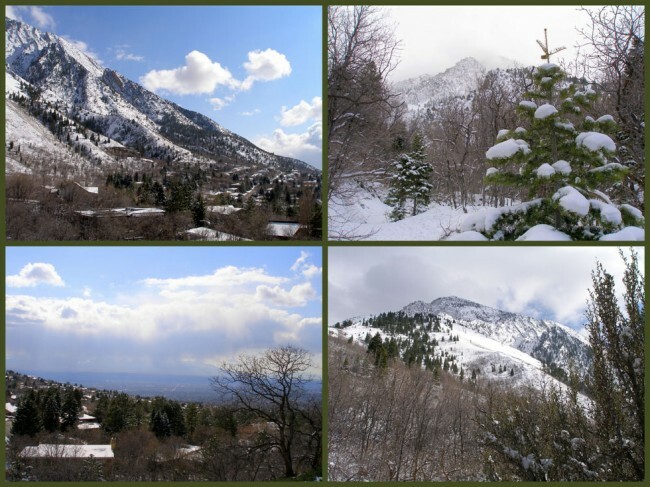 Though the incline is noticeable, it is one of the easier climbs I’ve been on in the Wasatch. Our hike was made more interesting by the recent addition of new snow on the mountain, giving me countless opportunities to sink into waist-high snow banks. We worked our way up for a short distance, sometimes in the middle of heavy snowfall (keep in mind this is in April) and eventually turned back to bushwhack our way back down a side trail. As we broke out of the dense forest growth the sun reappeared from the clouds that had prevailed throughout our walk. This lit up the scenery in all directions, making for a perfect Kodak moment. I was able to add to the Campbell Library with my own images, something I’m very proud of. Jeff had told me for years that I needed to hike Neffs, and is always the case (at least where good hikes are concerned) he was right. 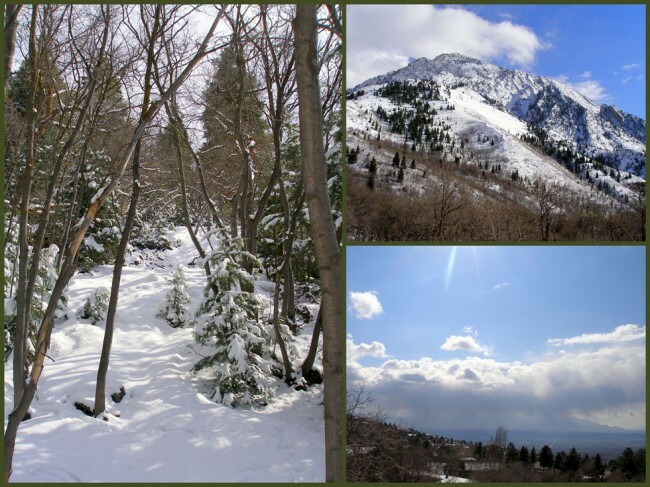 If you’re ever in Salt Lake City, take time to explore this area. It’s close to the city, offers great views, and is one of the best trails around.